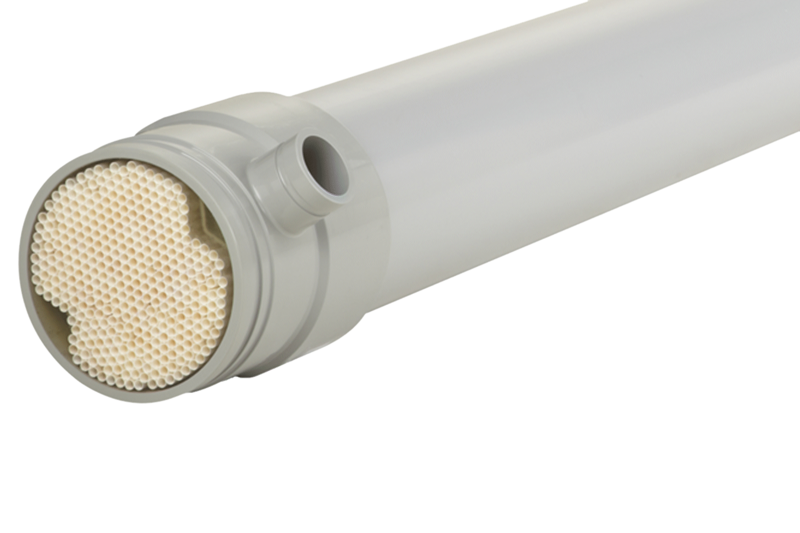 The Compact 27 is a tubular 8 mm ultrafiltration membrane very well suited for the separation of biological sludge, or any other high solids application (up to 40,000mg/l solids) in which high effluent quality is required. Separating at 0,03 micron, this membrane filter allows only water and dissolved matter to pass, rejecting everything that is undissolved. The filtrate can either be used directly in many applications, or be fed into another (RO) treatment system to remove the dissolved matter. 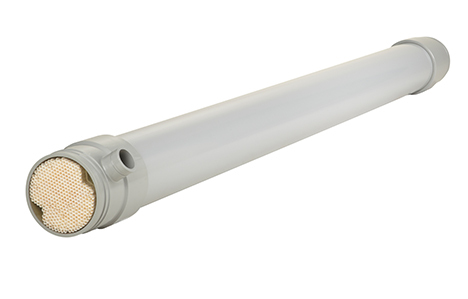 The Compact 27 holds 8mm tubular UF membranes, capable of treating streams with solid concentrations up to 40,000mg/l. The module can be applied in a Crossflow configuration. With operations in the typical cross-flow mode, and given the limited capacity per module, multiple modules can be connected in series to create the required capacity. Our engineers can support you in determining the ideal plant size, number of membranes, best setup and configuration for your specific purposes. The cross-flow mode, usually applied with this type of membrane module, is a process in which the medium to be filtered (e.g. the biological sludge) is pumped through the tubes of the filter, keeping the membranes clean. Click here to learn more about the Crossflow configuration. 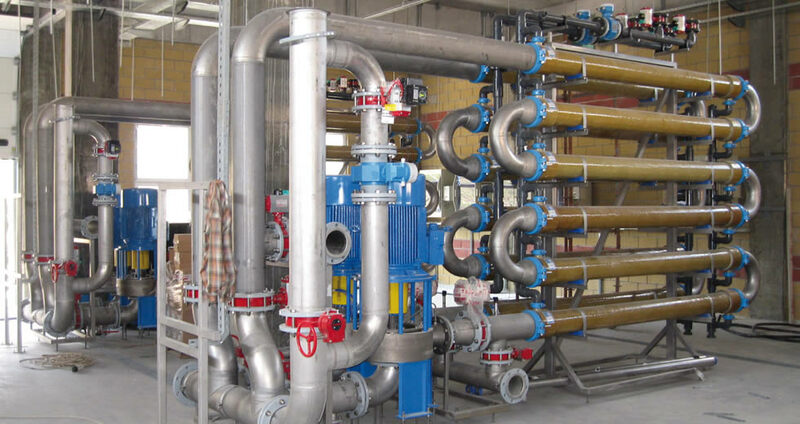 The Compact 27 finds its use primarily in high solids applications, such as separating clean water from biological sludge in membrane bioreactors (MBR’s). The filtrate will be free from solids of any kind and typically have an SDI of < 3, making filtration with the Compact 27 a good pretreatment method for Reverse Osmosis if all dissolved matter needs to be taken out.